Throughout the course of the summer, six Morgan State University architecture students will participate in a new pilot program as part of an initiative to encourage more young African-Americans to enter the architectural and historical preservation field. According to the National Architectural Accrediting Board, only 2 percent of the number of registered architects are African-American. Additionally, only 0.3 percent of licensed architects are African-American women. The HOPE crew was searching for students who were affluent in architecture and its theories. 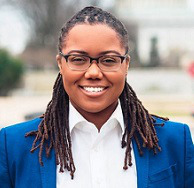 Morgan State recommended Akiel Allen, Tiffany Dockins, Nathaniel Mitchell, Jamil Nelson, Taylor Proctor and Monique Robinson for the project. The program’s main focus was on the restoration of the Peale Center for Baltimore History and Architecture, the oldest museum building in the United States. It sat vacant for 20 years until it was reopened as a city cultural center last year. 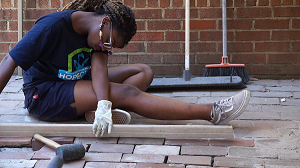 Students worked on the Peale Center’s courtyard and performed tasks such as banister repairs, painting the gates and resetting brick pavements. Before restoring the Peale Center, students participated in training June 11-21 at the Western Center in Wyoming. While there, they visited Bill Menor’s homestead buildings, Menor’s ferry and the Maud Noble cluster in Grand Teton National Park in order to study their condition and needed treatment. “The students focused on the principles for field-based historic preservation, heritage asset maintenance planning, documentation and hands-on treatment,” according to the National Trust. 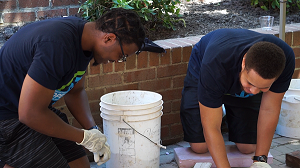 Following restoration of the Peale Center, Morgan State students will have additional training in Frederick, Maryland before taking fields trips to historical places around the Washington, D.C. area July 30 through August 4. At the end of the program, students will create portfolios that will target the importance of Morgan State’s restoration of their campus buildings. Morgan State has 20 structures eligible for listing on the National Register of Historic Places, according to the National Trust. Since its establishment in 2014, the HOPE crew program has contributed 80,000 hours and $14.3 million in preservation work at historical sites across the United States, according to the National Trust. The next step is to partner with other historically Black colleges and universities (HBCUs) to establish more programs similar to the one this summer. As Mitchell draws closer to entering the professional world, he hopes to attract more people into the field and make it a more diverse environment. Sarah Wood can be reached at swood@diverseeducation.com.